What Voters Think About Romney’s Wealth, Ctd. The new Washington Post-ABC poll is getting a lot of attention today for showing Barack Obama with his first clear edge over Mitt Romney. The poll has Obama up over Romney 51-45 among registered voters; it has his approval rating at 50 percent; and, strikingly, it shows that, by a 2-1 margin, the more voters learn about Romney, the less they like him. But what jumped out at me the most was the extent to which numbers lower down in the poll affirmed the tentative conclusions I arrived it in my piece in the current issue of the magazine, which seeks to assess—based on talking with researchers, strategists and voters in the early primary states—how the electorate will view Romney’s wealth and career at Bain Capital, and whether or not attacks on that front will be successful. My general conclusion was that Obama would need to craft a nuanced argument against Romney’s Bain riches and the economic system they represent, because voters, on the face of it, are not reflexively opposed to plutocracy: they are remarkably split in how they view wealth—whether it is the result of hard work or unearned advantages—and independent voters are inclined to view wealth and a business background like Romney’s as a net positive. 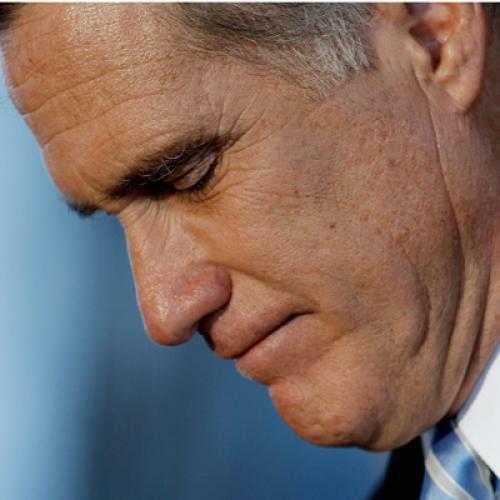 The biggest vulnerability for Romney, I argued, would probably be his very low tax rate. ...By nearly 5 to 1, independents are more apt to view Romney’s business experience as a reason to support rather than oppose him. Romney is vulnerable on the issue of personal taxes. The former governor released his tax returns two weeks ago, showing that he paid an effective tax rate of about 14 percent. Two-thirds of all Americans say they do not think he is paying his fair share. ... Obama has sought to make economic fairness, particularly for the middle class, a centerpiece of his economic message. The poll underscores that Obama has remained on the high ground here. Fully 68 percent view the federal tax system as stacked in favor of the wealthy, not the middle class. More than seven in 10 support increasing the taxes of those earning more than $1 million a year — an idea the president has long pushed. More and more, I wouldn’t be surprised if we see a new tax reform proposal from Romney in the months ahead—one that, unlike his current one, is not skewed toward lowering the burden on the very wealthy even further. Though that would come with its own downside—upsetting many of those now showering $1 million checks on his Super-PAC, who would argue that their campaign millions alone will be able to overwhelm the sentiments of the electorate expressed above.